Come witness a new legend in the making. The legend of Linley Baruch! CD has a very special place in my heart, which is why I'm also a bit bias towards it, being one of the first Xianxia I read. This is an amazing piece to begin with if you're new to Xianxia, reason being that it's a complete translation, no need to wait a day, or week for a new chapter. Just binge through it all. What really makes this one great is the relationships the MC has with different characters, which just helps flesh out the personality of the MC. This story should've... more>> been a bit longer in my opinion, to focus a bit more on certain characters, because this story suffers greatly from ignoring certain character for quite some time, until they become necessary for the story again, which is a bit sad, because many of them has been a great part of the story, until they're not. It makes it feel a bit rushed. The world, the adventures, everything is extremely well written, it's such an amazing joy to read, and you just wish you could experience something like it while reading it, it's simply amazing. CD has its flaws, but I'm uncertain if it's because I'm bias toward it, or that it's just simply that good, that I gave it a 5/5. The non-bias part in me would like to rate it at 4/5, but in the top tier of 4s, because I feel like there's the possibility it could've been even better with more chapters, exploring characters, adventures and romance more. So I've read CD again, for the second time. Why should you read this? Because I Eat Tomatoes, the author is simply a genius at tugging at your heart strings, and making up likable characters and creating an amazing world, which shares the same universe as some of his other works. Of course reading it a second time, you notice some of the flaws. In general all of I Eat Tomatoes works revolves around "Luck" which can be noticable in CD quite a bit, but I didn't find it overly so, except for a few cases, where luck simply is the only thing keeping the MC alive, but I can let it slide, since I can't come up with a better way of making such a rich and interesting story to begin with. Also, the fighting becomes more or less the same at a point in the story, but the Author has still done a good job at keeping it interesting, but it does become predictable as it gets closer to the end. The most serious "flaw" this novel faces, though, is still the abandonment of characters, as most are really well written and introduced and to just forget about them is really the big flaw of CD. Getting a conclusion of what happened to some characters at the end would've been the cherry on the top for this novel. Coiling Dragon (Panlong) is honestly.. my first Chinese Novel. People regard their first novel as 'The one that made them read more', but it wasn't the case for me. 1. CD is a good novel for beginners. Unlike other Novels like ISSTH and TMW, this novel doesn't use 'Qi' or any chinese power leveling. In return, the story uses our typical Four Elements + Other Add-in to rank their powers. 2. CD has a very good initial setting. The MC, Linley is a scion of Baruch Clan, which is known for their Dragon Bloodline. He was branded as a failure after a test, but all of these changed when he acquired the *tada* Coiling Dragon Ring. There comes Grandpa Doehring. He became his teacher and taught him ways how to improve his strength and to obtain a way how to activate his Dragon Bloodline. 3. CD has a good 'Early' Romance setting. The part when Linley chose Delia over Alice is the highest point of their romance, In my Opinion. 4. For people who likes to read long novels, this is the novel for you. It is the first one of the Xianxia Genre to be fully translated. The quality of translation is good also. 5. If you like astronomically large numbers, the Author likes to give those kind of numbers. 1. Coiling Dragon, in a sense, has a very ridiculous PLOT ARMOR. Like IET's Novels, ALL coincidences happen to him, as if the author inserts them just to make a new objective. His Luck is way past the luck of other lucky protagonist, that you'll think his survival along the story was due to luck. Yes, he is hardworking, but much of his strength comes from luck. 2. Romance and Family setting is also ridiculous. There is a part where the MC leaves his family for almost 10 years and just to see his son and daughter grown up. Yes, he is a peerless expert, but he is a bad father. 4. CD's plot is just confusing. Many characters are introduced, but almost the same number was forgotten. Disappointing ending. Actually everything which involved the higher realms was disappointing. MC finds love and loyalty to a clan who he never knew (and they were rude to him as well) when he ascend to higher realm. That arc was so frustrating that it killed me. The ending was abrupt. Author didn't even gave a satisfactory closure to the series. All over you can read the series but don't expect too much. Ok, Like Soooooooooooooooo many other people, CD was one of the first light novels ive ever read, and was actually my first Xianxia. Its completed, and was 100% certified awesome, really its like the DBZ of Xianxia. It is a VERY recommended choice for anyone wanting to step into reading xianxia or wuxia as it has already been completely translated (top notch translations too). This story has everything, from magic to cultivation to dragons to romance to bro's to immortals to comedy and it starts with him as a kid, with the... more>> story progressing into him becoming the ultimate badass. I cannot stress how much people should read this, heck you should be ALREADY reading this. I wont dive down into any details, cuz that'll be spoilers and too long of a post. Plot is with lots of twists and turns and variations. Very nice xianxia to start reading. A pretty good story with a couple arcs that are rather solid in particular, and a few noteworthy characters (namely Bebe). Worth reading if you have too much time on your hands, but it only really stands out in that there are so few modern Asian epics fully translated online. It takes a while to get going, and still is often somewhat bland later. Though the concluding arc tied a lot of things together really well, most of the rest of the story didn't feel planned out. The MC gains weapons,... more>> items, and skills that get largely forgotten about, and it lacks delicious moments of the hero truly exploiting his advantages in the manner that you'd see in Against the Gods, Tales of Demons and Gods, etc. Later ideas, like giving everybody clones, put a lot of hard limits on what could happen and lowered the narrative tension. You know the MC's clones will never die, because it would permanently weaken the hero in a series that is all about advancing through the ranks of power. Magic Plot Crystals turn people into gods, but they also define a person's absolute skill level, and why write yourself into a corner that way? That whole idea was essentially a poorly-conceived promise to the reader that the entire supporting cast would fade into obscurity. The series' approach to cultivation was interesting before that, though. It was more academic in feel; instead of being a thing of going from level 9 to level 10, it was more like being a scientist trying to discover a new particle or some such thing. These people would first spend years as a child and young adult learning things from the cultivation world's equivalent of an educational system, and then they would push upon the limits of what anyone in the world knew in their field, and would start gaining personal insights into their Law that nobody else had found before. People in the same field of study could fight each other to exchange insights, for the benefit of both people hoping to unlock the mysteries of the world, sort of like reading and publishing in a peer-reviewed journal... and then the series stepped beyond the bounds of its world and it became a story about gods evolving into super gods and it totally lost that appealing framework. Ah well. The MC experiences little in the way of hardship with the exception of a few arcs, and often has the protection of powerful figures. To put it plainly, his life's too easy. You can do a power-fantasy novel where the hero's better than anyone and still make it tough on him: the perfect example of this is "The Name of the Wind", which everyone should read if they aren't restricting themselves to xianxia only. This is the novel which got me hooked in this genre. So it one of the favorite for me on a personal level. The whole story has a certain flow to it. It never feels forced and I like power levels of this story the best as they are quite simple but presented in a way that it makes power-ups amazing. This is a recommended novel. Coiling dragon was my first chance to discover xianxia novels, a world that at that time was quite strange and didn't impress me. Little did I know that after reading the first few volumes I would be so hooked on xianxia novels that I couldn't start reading anything beside it. For me, CD is and will always be a lucky encounter that changed my life. At the time of this review, I finished reading it the third time, so I can say one thing. Its flaws will never be able... more>> to make this story less awesome. First, we have Linley. Our protagonist which can be considered unique when comparing it to other novels, but the same when comparing it to the rest of IET novels. Even so, if its your first time, the first volume will make your blood boil with expectations as you how Linley slowly progresses towards his dream. Fourth, the power system. The cultivation base resembles the other novels, but the understanding of the laws is something that went astray from the norm but gave me at least a very nice surprise. These few things are not that impressive, but they are certainly something that for someone that has barely started reading xianxia novels will become a priceless memory. This was the first Chinese novel that I ever read, and as being such will probably be the best in my mind. Even though looking back on it there were some inconsistencies and the last volume felt very, very rushed. Also because of CD I was introduced to a world that I send countless hours in and enjoyed, rather than doing my uni work, but defiantly worth it! I think if IET made one more chapter in which he should explain what happen after linley came back from Grandmist domain. This is my own view of this novel so you should not take it for granted and read it for yourself and judge it according to your own views. Coiling Dragon has its ups, but an unfortunate amount of downs. Some of the fundamental problems of weekly release and the necessity for greater power scaling rear their head here: characters left behind and weak foreshadowing. This hurts this novel in later chapters more than other xianxia I've read because of CD's focus on characters' relationships and spirituality in the pre-deity section of the novel. What is, for a while, an organic system of growth that is highly personal and related to mentality and experience ends up becoming a power-gaming,... more>> RPG skill tree on the road to becoming a paragon. Characters given more than a passing mention and positive fortunes are reduced to scenery or obsolescence. This makes the final section of the novel somewhat depressing as a wholesome journey degenerates into deific MMA. Coiling Dragon also suffers from a weakly set up ending and time skips that are treated trivially. Coiling Dragon (hence CD) was my first LN. It started out pretty good with introducing our MC, and as the chapters went, I got to experience all the emotions the MC had. Every time there was something exciting or even just a bit interesting, it made me wonder; what would happen next? What will the MC do now? As the time goes on the story gets better and better. When you think the character has reached the pinnacle of strength, that's when you figure out that he has just started to... more>> walk on the path of cultivation. Sure, there are always some moments in the story that aren't the best, or could be better. You will meet some of these moments, even though rare, but it all pays out in the end. At least for me when I finished the story, all I was left with was positive things. Yeah... I don't have much to say that haven't been said. Starts good, quickly goes out of rail and the train keeps moving downwards until it finally goes over a hill for a big explosion of "fck no". Horrible developments and even more horrendous ending. This is one of those novels that would only get 3/5 or 3.5/5 stars if it wasn't because of all the people with their glorified memories and sentimental views. Half or more of the reviews state that it was the novel that started them off,... more>> of course it will seem good when you have no experience in reading other novels and then when you do and come back to review it, you will think it was better than it is, because it was a hell of a first experience, kinda like when you play a game when young that you remember being awesome but later on when you try as an adult, it turns out to be sh*t and is best never touched again. I'd say CD is a decent passing time. One of the good parts is MC is mostly sensible and clever-headed, sometimes inexperienced but realize this weakness and strength. Another pleasant aspect is the concept of face where those with much stronger power won't lower themselves to kill others unless circumstances, and there is no 'I hate you so I grab to threaten/kill your whole family' either. Linley goes to school? More like meeting, eating and drinking with his good bros, training by himself in the mountains, goes to class in one or two sentences but no one knows what he actually learn in class. He goes out into the wilderness training and killing while still being a student, then goes back and goes out some more until he gets powerful enough to leave school. First venture, Linley meets a classmate with few others. Me: oh group train! But nope. Bandits kill some (including that classmate killed by the boss). Linley kills all bandits leaving the boss and flees even though his beast Bebe could have killed that bandit boss??? Me: oh author uses this to abandon group train plot, cause that boss never mentioned again. And later Linley encounters corpses killed by human and wonders why human kill human and realize: greed is so terrible. Ummmm didn't your classmate (and yourself almost) got killed by human just now also? Why you only ponder about that now? While in school, Linley dates a girl and gets all heart-broken by her (cause she out of nowhere avoids him and goes out with her childhood friend). Then Linley makes a breakthrough in power thanks to that heartbreaking exp while his good bro tries to make the girl's life miserable. Also in the following events she encounters sh*tty situations and has to ask Linley for help while her guy (who actually genuinely loves her) is made into a bad guy. All was so over the top that I actually thought the author has personal issue with this kind of failed relationship. When little Linley was all enthusiastically "I want to be a magus!!!" but when grown he automatically is a magus by keep growing his spiritual level, learns skills by reading once and focus on his warrior power instead. Magus ability is rarely used and easily falls out of importance in the first 10 or so books, then in higher level they conveniently becomes 'profound laws' to train for deities. Relationship building and interactions? Eat chat laugh occasionally help each other out over time and we have a deep relationship (asides from family love). Romance? The main girl fell for him since tiny teen (interactions barely/not described at all as for why she fell for him) then waited 10 years for her chance and bam love. Marriage? Wedding day is big guests visiting and the pair entertaining guests. If that's all there is to my wedding I'd kick everyone out the street and slap myself out of love. Linley also accidentally releases a powerful magical beast Dylin who led hordes of beasts to destroy cities later (and this accidentally rescues Linley from jail, haha karma). The beasts also destroys Linley's hometown and kills everyone there. Later Linley and Dylin becomes good friends. Where there is trouble or special event (especially those related to Linley's acquaintances) there is Linley just in time to solve it! An antagonist says something like "This Linley is everywhere" and I cry because dude someone finally gets it. I feel like I'm reading a xuanhuan version of detective Conan. I think I need to stop now my mind is getting boggled. PS: I think the later part where Linley goes to higher plane is where the story gets better, or maybe I'm just numb to it. Completion thought: The ending is a little weak. I'm glad I read this novel after Stellar Transformation, that's why I'm able to enjoy the ending a bit more. Funny how the final antagonist actually got the right idea about breaking space and stuff, but in the end unable to execute it. I personally think that this is the most epic work of art I have ever come in contact with. 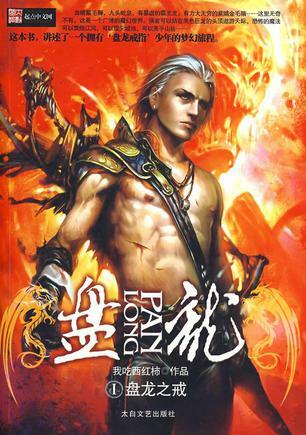 I may not have read much Chinese novels yet but I have read many other kinds of books and watched many kinds of movies, but Panlong is by far the one that eched itself the deepest into my brain. Normally when you read or watch a story, you will after a few weeks or months start to forget the smaller details and only remember the awesome parts. But even now after... more>> more than half a year I still remember small details and names of character. I can easily describe each and every part of the story in chronological order. While in other novels after this long, it isn't even every time I remember the MC's name. This novel was so good at describing events and places, that I often remember places in the story and have clear images in my mind, so clear that I almost wonder if I really read a novel or if it was a manga or maybe even a movie. The novel makes every part count, there are no parts in the story where you will find yourself bored and skipping some minor details.